Vinyl wraps are the best way to quickly change the look and feel of your ride with the least amount of hassle and cost when compared to paint jobs or dipping. But vinyl wraps for cars aren't just more affordable than spraying your vehicle with over-priced paints they also give you an almost infinite variety of styles to choose from. Whether you're looking fro a realistic carbon fiber vinyl to wrap your hood, realistic wood grain films to wrap the interior of your pick up or SUV or want to wrap your ATV in camouflage vinyl you know that it's got to be laid, not sprayed. 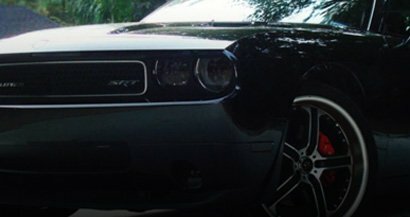 For over a decade, Rvinyl has specialized in providing cost-effective solutions for the DIY automotive enthusiast, pioneering the use of smoked headlight and taillight wraps, reflective chrome wrapping films, paint protection wraps and dozens of other vinyl products to give you the look and style you want at a price you can afford. Why Spray It When You Can Lay It? Another good reason to lay instead of spray your car along side of the obvious economic incentive is simply that it is much easier to wrap a vehicle than it is to paint it. And, because all of the vinyl films we carry come with a pressure sensitive, semi-permanent adhesive it means that the stakes aren't quite as high if you make a mistake. Not sure what we're trying to say? Picture this: you buy a gallon of high-quality automotive spray paint and another gallon of primer and you're out something around $200. But then you need a paint gun and compressor so that's another $500. We're already at $700 and now we get to the variable in the equation: the skill of the painter. Unless you do this stuff for a living you're probably not going to do such a great job on your first run but the stakes are too high to make a mistake since you only have one car (unless you're a millionaire which means you should just add our largest wrap to the cart and checkout now). So, if you're like most of us it's at this point that you give up the thought of even painting your car and take it to a professional who will gladly take $3000 and paint your car, truck or SUV whatever color your heart desires. Clearly there's got to be a better way. Luckily for you, Rvinyl gives you the ability to change the appearance of any part of your vehicle for less than half the price of a pro spray job and gives you a lot more variety too. Even if you had three thousand dollars to spend on painting your entire car there's just no way you could get that camo Lambo look using paint alone. Instead, you could pick up a sixty inch by ten yard roll of Arctic Camo film and do the job yourself. Not only will you save money but you will get the satisfaction of knowing you did the job yourself and if you mess up on your first try you can always peel it off and try again (you'll need to use new film of course but you get the point). Carbon fiber vinyl is probably our best-selling Rwraps® line. Custom dash wraps in 3D black, red and blue carbon fiber are popular with Subaru, Mitsubishi and JDM drivers as well as with the Ford and Chevy communities. In addition to the 24-inch width wraps our 60-inch wide carbon fiber wrap kits are commonly used to wrap hoods, trunks and roofs. The 3D carbon fiber vinyl wraps may be our most purchased but, in terms of realistic appearance, the 4D black carbon wraps are pretty much indistinguishable from the real thing once installed. The 4D film has a high-gloss, reflective finish which means that it looks like real carbon fiber with a clear coat once it has been applied as opposed to the 3D carbon fiber which has a matte, textured finish. For a great example of what the 4D black carbon fiber vinyl wrap looks like, check out the 2014 Subaru Impreza dash kit installation photos. Wood grain vinyl wraps are another big seller, especially for the mid-market and luxury crowd. Whether you drive a Cadillac, a Lexus or a BMW it's pretty clear that you won't be picking out our neon green carbon fiber wraps (or maybe you will, who knows). When it comes down to it though, most people who choose our woodgrain vinyl car wraps are doing so because they are looking for something to complement the interior of the vehicle and when you choose an Rwraps® wood film you can expect only the best in quality and performance. Every woodgrain vinyl wrap film is digitally printed with the most realistic grains and UV coated for stability to give you a long lasting, real wood appearance that is sure to stand the test of time. Choose from high-gloss styles like dark burlwood, satin finishes like our honey burlwood or real, textured grains like our ebony vinyl wrapping films and you'll be sure to get the look you want at the DIY price you can afford. Rwraps® camouflage vinyl wraps for cars are one of our newest lines and have hit the ground running. Our swamp camo and tree camouflage vinyl films have so far proven to be the most well-loved by all sorts of DIY vinyl wrap enthusiasts but they have found a special place in the hearts and minds of outdoorsmen and women. Just take a quick look at our blog and you'll find a great example of a pontoon fishing boat wrapped in Rwraps® Swamp Camo and browse our galleries to find even more novel uses for camo vinyl on just about everything from gun stocks to ATVs. Made from the same great air-release, PSA films as our other vinyl wraps and designed based on the latest camo patterns you know you can't go wrong with Rwraps® Camo films. Smoked headlight and taillight films are one of our specialties here at Rvinyl. With a full line of tint and protection wrap films in a variety of colors, sizes and shades we pride ourselves on being an industry leader in DIY vinyl wrapping for your vehicle's headlights, taillights and fog lights. And, if wrapping your lights seems too difficult we're always happy to create a custom taillight tint or headlight cover for you if we don't already have a precut available. Rvinyl really is your source for DIY vinyl wraps and automotive customization. When you're looking for the latest styles in vehicle wraps at the best prices why buy from over-priced competitors or cheap, imported films from no-name sellers? Buy with confidence from a company you can trust and will be here when you need us. Buy your vinyl wraps from a company with vinyl in our blood and in our very name. Buy from Rvinyl today!